An article recently published in Transplantation1 describes the new kidney voucher program, which allows potential kidney donors to donate at a time that works for them, while “reserving” a priority spot on the kidney transplant waitlist for a patient, often a loved one, to be redeemed later. Drs. Jeffrey L. Veale and Amy D. Waterman, both professors at the University of California, Los Angeles (UCLA), are authors on this article. In the voucher program, a donor chain can be started by a donor who needs to donate before their desired recipient is ready for a transplant. The donated kidney goes to an unknown recipient who has a willing donor that is not a match. This initial donation then begins the process of the chain, as the willing but incompatible donor’s kidney goes to another unknown recipient, and down the line it goes. This situation of chronological incompatibility occurred with Howard Broadman, a 64-year-old former judge, who wanted to find a way to help his 4-year-old grandson, who has chronic kidney disease. He approached the UCLA Transplant Program in 2014, asking to donate his kidney to a stranger now, in exchange for his grandson being given priority for a future kidney transplant later on, if needed. Broadman was reaching an age where he would “time out”, and no longer be a viable candidate, and his grandson did not need a transplant at that time. Broadman’s creative idea to solve this problem allowed him to initiate a kidney donation chain, as well as give his grandson a voucher to redeem if he needs a transplant later on in life. One unique feature of this program is that there is a chance the patient who received the voucher for a kidney may not actually need one later on, yet the donor’s kidney still went to help at least one patient in need. As of October 2017, there are over 90,000 patients waiting for a kidney transplant in the United States. Innovations such as the voucher program can help provide solutions to solving both biological and chronological incompatibility. 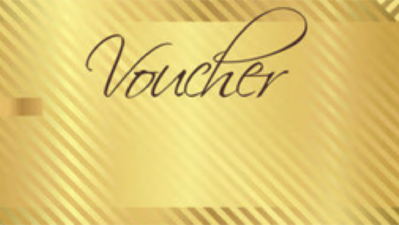 With 30 transplant centers already having adopted the voucher program, this breakthrough can be the ultimate “golden ticket” for both donors and patients dealing with chronological incompatibility. Dr. Waterman is expanding research about kidney donor chains with multiple transplant centers as the National Kidney Registry’s Research Chair. Dr. Veale and Dr. Waterman will be exploring the value of the voucher program for increasing rates of living donor transplantation nationally over the next several years. 1. Veale JL, Capron AM, Nassiri N, Danovitch G, Gritsch HA, Waterman A, Del Pizzo J, Hu JC, Pycia M, McGuire S, Charlton M, Kapur S. Vouchers for Future Kidney Transplants to Overcome “Chronological Incompatibility” Between Living Donors and Recipients. Transplantation. 2017 Sep;101(9):2115-2119. PubMed PMID: 28333861.